Scorpion Pose yoga charm. Sterling silver Vrishikasana pendant. 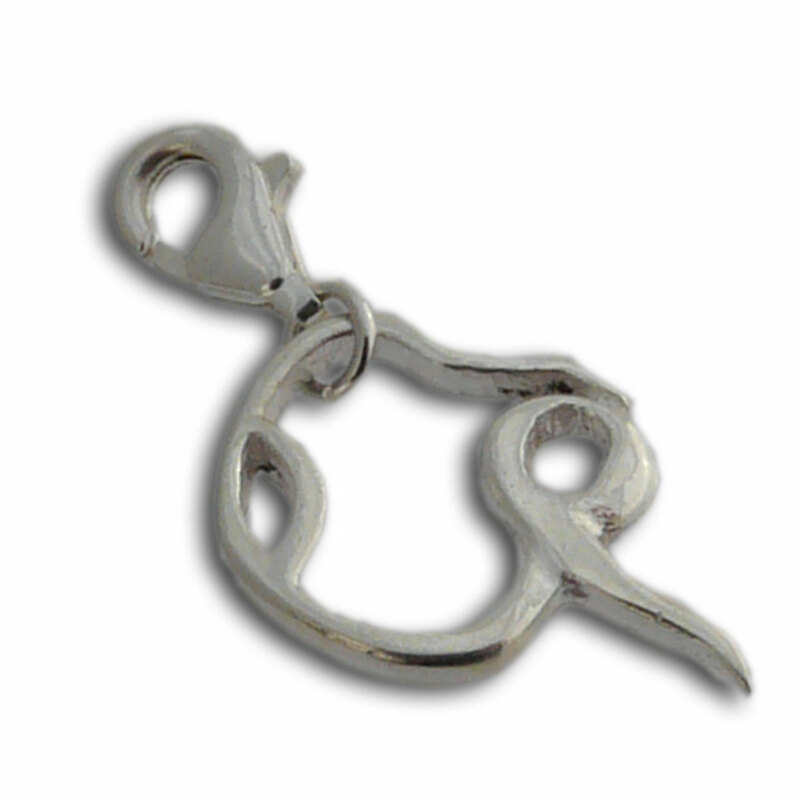 This cute little charm is part of our charmas collection. It has a spring clasp so you can easily put it on and take it off your favorite chain. Scorpion Pose Earrings sterling silver Vrishikasana earrings. A Great way to wear Charmas! A 20 inch leather yoga necklace with 2 inches of silver charmas oval base chain with Scorpion Pose Yoga charm. This FLEXIBLE necklace is made of 3 parts that you can easily take apart and also use individually. An 18 inch leather necklace with spring clasp (ns413), a 2 inch charmas extender chain (chx) and a Scorpion Pose Yoga charm (ch224). Or wear them together as shown. You can also separately purchase other charms from our charmas collection to add to this necklace. With the handy spring clasp you can change out the charmas to suit your fashion needs. This is a perfect simple yoga necklace for men and women with Scorpion Pose (Vrishika-asana variation).